Important Note: The Contest Deadline has passed and the winners have been announced here. It's time for another Photo Contest! As this is our second time out, we are hoping to make it even better than the first time. 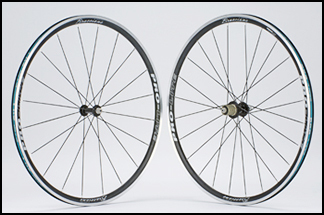 We have added a theme and turned the prizes up a notch, with both a frame AND a wheelset! The idea is simple, but this time, with a twist. before September 30. You may enter three pics to get a chance to win some more Pro-Lite gear and we get to feel all warm and fuzzy inside from giving stuff away. What's the twist? Our theme for the contest is Triathlon, so we are accepting EXTRA ENTRIES. That's right! 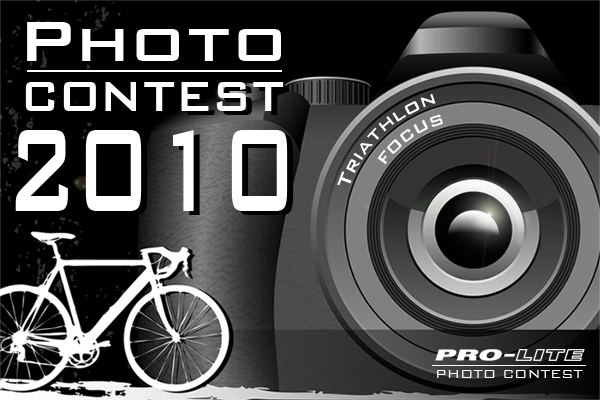 You can enter 3 photos with any theme AND a bonus entry that is Triathlon themed, for a total of 4 chances to win! Plus a prize pack with a Pro-Lite work shirt, a hat and a keychain will be given to the top three photos and 5 runner ups! Feeling a bit shy about your photographic skills? No problem. We will also pick 5 entrants with a random draw to receive the prize pack. Just enter at least one pic with you using Pro-Lite gear and you could win! Further, we will give each of the top 3 contest winners a chance to be featured in the Pro Interviews recurring feature. YOU could be the next person to show up in our focus on real riders, with your own link and your face up on our wall here and in our newsletter. Even if you aren't one of the top 3, but have an interesting story to tell, you could still get a chance to bask in the spotlight. Prizes will be awarded on photographic merit at the discretion of Pro-Lite. Additionally, we may choose up to 5 images for runner up prize packs. We will further award 5 prize packs for participants regardless of photographic merit to be selected by means of a random draw. Prize Pack: 1 Pro-Lite Work Shirt, 1 Pro-Lite hat, 1 Pro-Lite Keychain. One extra entry will be accepted if it is TRIATHLON themed. Please explain in the email. Images should be at least 800 pixels on one dimension. JPG, DNG, TIFF formats are accepted. JPG is recommended. 25MB max file size. When entering, if you are on the mailing list, please state this with your entry and we will add your name an extra time in the draw. 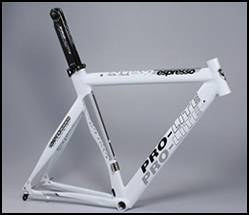 If you have registered a frame or a wheelset on our website, let us know and we will add your name again! We won't have time to check this for you, so make sure you tell us in the email! EMAILS MUST BE RECEIVED BEFORE 11:59 PM, Sept 30, 2010. Basically, we just want to make sure that the pics come from you and that we actually have the right to show the pics. -By sending us this pic for use in this contest, you confirm that the picture was taken by you and that you alone own the rights to the photograph and you have the authority to use the likeness of recognizable individuals within the picture. 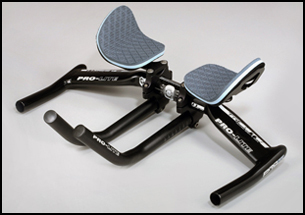 -By providing this image, you agree to give permission to Pro-Lite to use this pic for display and promotional use, whether selected as a winning entry or not. -You understand that Pro-Lite reserves the right to crop, adjust or modify submissions in any manner for the purposes of display and promotion. -We reserve the right to disregard photographs that we deem to be contrary to the spirit of the contest at our sole discretion (possible reasons might include blank photographs, inappropriate content etc). If this is necessary, we may provide a brief explanation, but we reserve the right to decline to specify. You may provide up to 4 photos. The photos must contain Pro-Lite product visible. Keep your eye on our newsletter for future contests!